The decorating continues. My sister made the village for me so many years ago that it may now be vintage. Every year the ceramic Christmas Village is 'rediscovered' and put together. A few of the pieces (the sleds and little children are hiding somewhere is a drawer waiting to be 'glued' together again). and is always turned on after school every day by DGS. 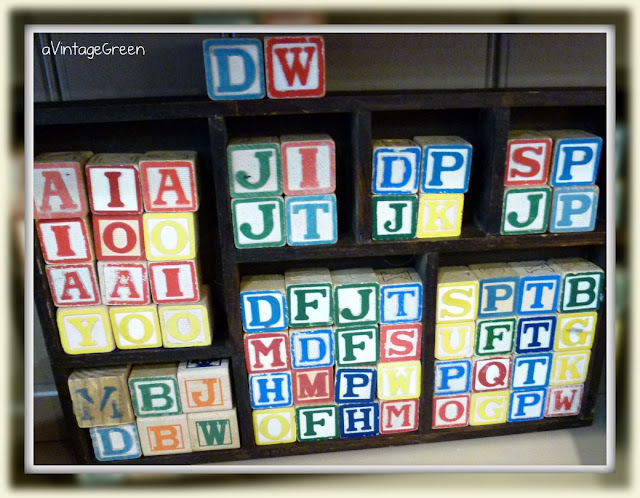 Finally the two meet - a box with dividers and my bags of vintage blocks. Random placement here. 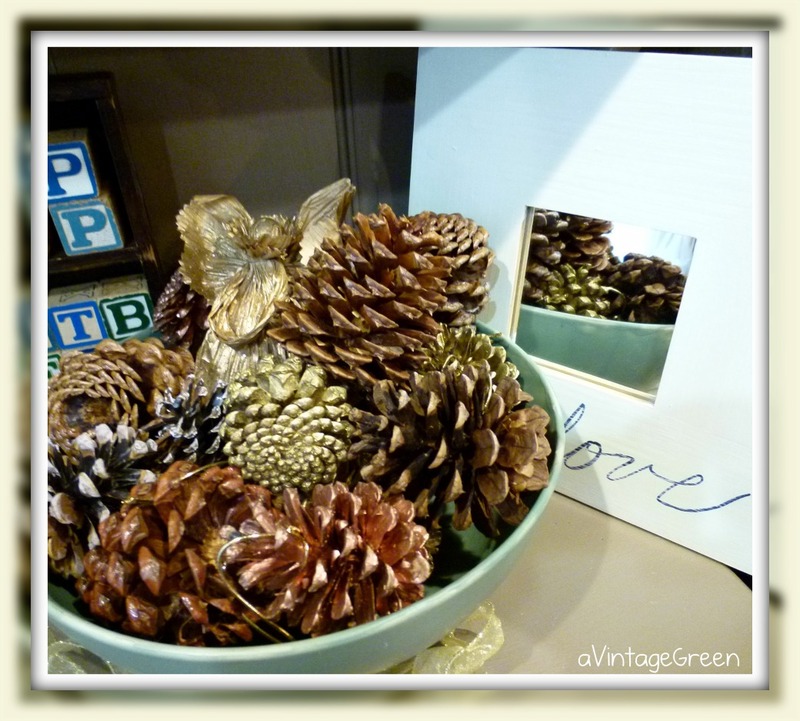 Another fresh mix, pine cones, a mirror and an angel in a vintage green bowl. 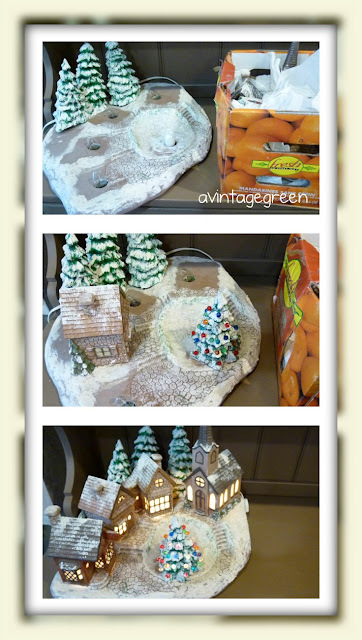 Sweet village! 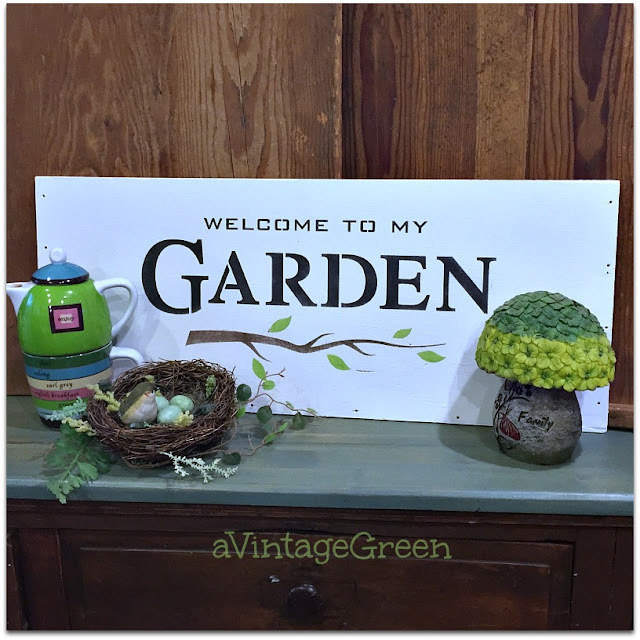 I love the vintage blocks! They look great in the shadow box. Once again, you have such a great for displays!